Berwick has been the home of some exciting history over the years, including its portrayal in the art world. This month, the Harkaway and Narre Warren region reflected in the work of the Boyd family, will be showcased in an Australian-first exhibition at Bunjil Place. Presented in partnership with Berwick Mazda, Bunjil Place Gallery will present a deep-dive into the cultural and natural landscape of the Berwick region, and a little-known account of the Boyd’s local history, including paintings and drawings produced by other family members, friends and visitors to the Harkaway Boyd family property, The Grange. Arthur Boyd (1920-1999), is one of Australia’s most celebrated artists, producing what many consider to be one of the finest bodies of Australian landscape paintings. His family’s artistic talents span across generations, including painters, sculptors, architects, landscape artists, writers, and other arts professionals. What is the Boyd’s history in The City of Casey? · In 1948, Boyd’s uncle, novelist Martin Boyd, acquired the former a’ Beckett family home, known as The Grange at Harkaway. Arthur Boyd began painting murals inside the house, and the house and surrounding property became inspiration, featuring prominently in the art of The Boyds from the mid-10th century through to the 1960s. · The Grange was built in the 1860’s, off A’Beckett Road, and had views over Port Phillip Bay. Sadly, this grand house has since been demolished. · Fortunately the murals Arthur Boyd had painted inside the house have been salvaged. These will be on display at the Bunjil Place Gallery exhibition. 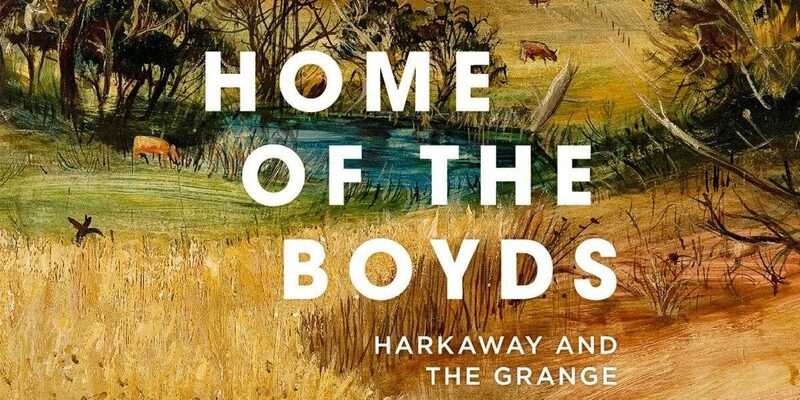 The exhibition at Bunjil Place, ‘Home of the Boyds: Harkaway and ‘The Grange’ will include a collection of Arthur Boyd’s ‘Berwick’ landscape series – an Australian first – as well as paintings, drawings, ceramics and prints produced by other family members, friends and visitors to the house. This exclusive is drawn from regional, state, and national collections, making it the most comprehensive to date and a must see. Berwick Mazda is thrilled to be Presenting Partner, in conjunction with Pitcher Partners, for this exhibition at Bunjil Place.